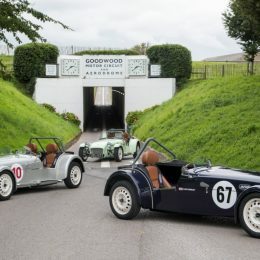 Caterham has unveiled the new, limited edition Seven SuperSprint at this weekend’s Goodwood Revival as part of its 60th-anniversary celebrations. 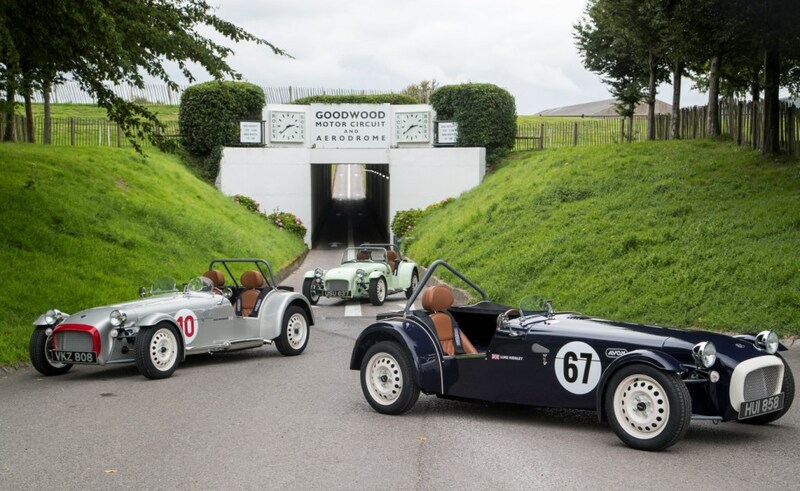 Reflecting the anniversary, 60 SuperSprints destined for the UK and European markets go on sale today, completing the pair of special models that have topped and tailed the anniversary year. 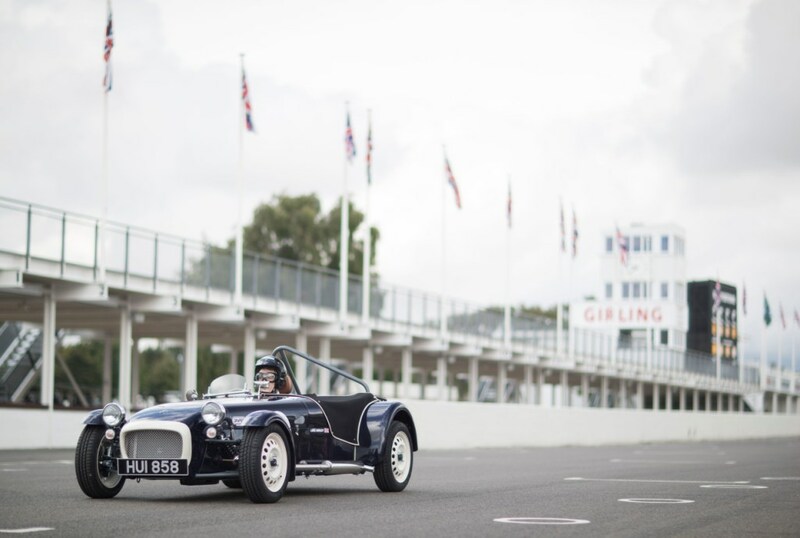 The similarly retro Seven Sprint was launched at the same event 12 months ago, with all 60 cars sold within a week, quickly becoming the fastest selling Caterham Seven to date. 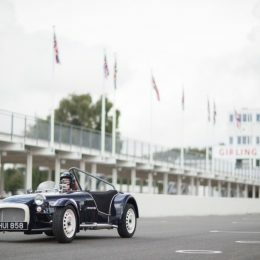 Offering the ultimate in gentleman racer style, alongside the hearty power of its 95bhp Caterham Works Racing-tuned, three cylinder engine, the Seven SuperSprint is as at home on the road as it is on the circuit. A unique Brooklands windscreen, quilted and stitched seats trimmed in Innes tan Scottish Muirhead leather, a wooden-rimmed sports steering wheel, and 1960s-style racing livery ensures that the driving experience is nothing short of sepia-toned race nostalgia. The Seven SuperSprint is available in six paint schemes, all featuring their own signature colour and named after classic race circuits including Aintree (green with orange noseband), Hockenheim (silver with red noseband) and Imola (red with white noseband). 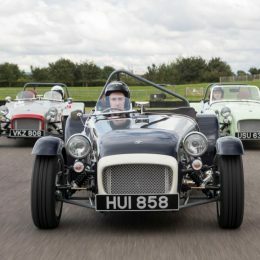 With 1960’s race style front of mind, Caterham has also created a single-seater option, which comes complete with a tonneau cover for the more serious pilot looking to strip out as much weight as possible. 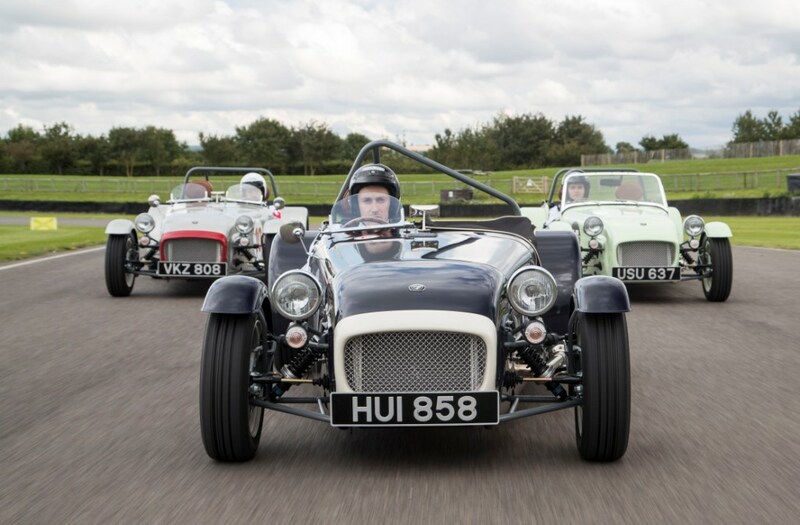 Graham Macdonald, Caterham Chief Executive Officer, said: “Motorsport and the purist thrill of driving a lightweight race car is in the Caterham Seven’s DNA and are elements that run like a thread through every car we build today, 60 years after the first Seven was made. Please visit the contact us page or call 01293 312300 for more information or to register your interest.